We Can Handle You Robotic Needs! Check Out Our Line of State of The Art Solutions. Join us at FABTECH – November 2018! When NASA needed a positioner to transport the Parker Solar Probe to Goddard, they trusted PrestonEastin. We are proud to be a part of the team that worked on this project. It gives us great pride to know that before the Parker Solar Probe travels millions of miles to study the corona of the sun and the origins of solar winds, it first rested on a PrestonEastin positioner. Check out this Preston Eastin Robotic Skyhook. It has a 4,400 lb. 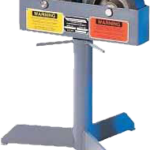 capacity and an extended arm capable of holding a part of up to 120″ in diameter. It also has a range of motion of 180 degrees on the tilt axis and 360 degrees on the rotate axis. 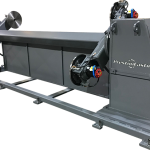 Give us a call if we can customize a piece of equipment for your company! Join us at Fabtech November 2017! 20,000 lb pneumatically controlled Head and Tailstocks for paint booth applications. 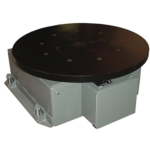 All explosion proof controls and shipping EARLY! 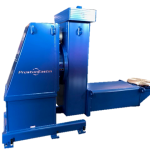 Please consider Preston Eastin for all your positioner needs. Preston Eastin uses only the BEST positioning equipment in our facility – ours of course! A TDRA-5 Ton Turning Roll is used to rotate the rollers to this custom Fit Up Roll. 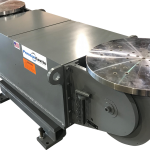 PrestonEastin continues to expand its capabilities with this unique Floor Turntable Model: FT-2000. Our largest floor turntable to date with a load capacity of 200,000 lb. [100 tons or ≈90,718 kg]!